Mobile phone has become a basic need in today’s world. It has served a lot of facilities to the public. With the daily changing technologies, the mobiles phones are replaced with the smartphones which has multiple vantages over them. Smartphones have the facility of high speed internet, various applications and general features as well. 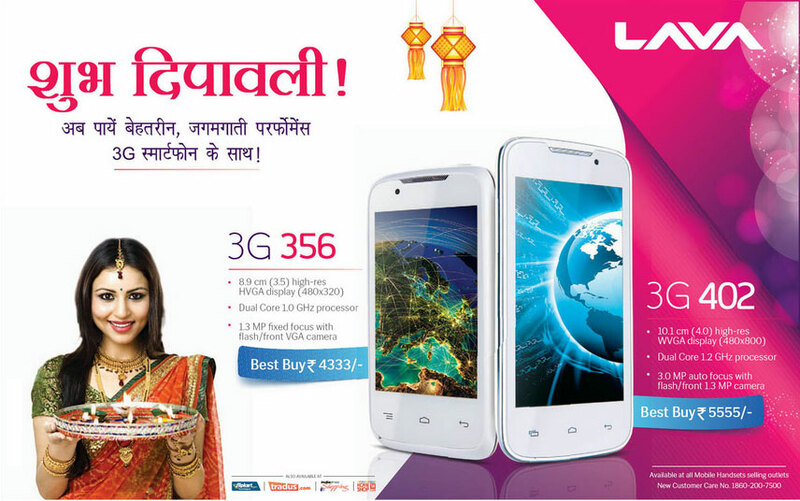 Lava company has introduced its two 3G smartphones; 3G 356 and 3G 402 with latest features. These phones are introduced in the budget category. Company has placed these phones with a best buy price tag of Rs. 4,333 and Rs. 5,555. The phones have Android jelly Bean operating system and dual core processors. They have decent quality camera which can click nice photos and record videos. They also have Dual SIM support with GSM and W-CDMA SIM facility.